We're a full-service plumber serving the Woolston area with just about every plumbing service you're likely to need. Perhaps you've got a leaking tap and it's high time it was dealt with? Perhaps your boiler needs looking at since it may be running less efficiently than before? Maybe you're thinking of fitting a new bathroom? 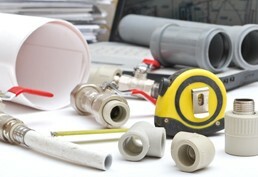 We can help with the smallest and biggest plumbing job, so why not call now to discuss your requirements? While you're at it, ask for a free estimate to see for yourself how affordable full-service plumbers can be. Imagine the convenience of knowing that you've got the phone number of the one and only plumber you need to deal with all your requirements. The service extends to support and back-up: for example, if you want to ensure your boiler always runs as it should, ask about a regular servicing/inspection regime. What if disaster strikes? No problem - we provide a full service with no call out charge. Call now to discuss how we can help you. Worried we may not be experienced and qualified enough to offer such a wide range? The fine reputation we've built in Woolston over the years should offer you peace of mind. We're fully qualified plumbers - for example, we can work on gas appliances as we're Gas Safe registered. We're totally open about the service we provide and the costs, so feel free to pick up the phone and discuss your needs and ask for a free estimate on 01925 204955.